Please allow me the privilege of sharing a thought on the growth of chiropractic medicine today. As you know, the Harvard Health Letter, November 2017, published that low back pain relief can be resolved by a chiropractor or primary care doctor. (1) Now, who utilized chiropractic care? A newly published paper by Forte and Maiers just answered this question: "Functional limitations in adults who utilize chiropractic or osteopathic manipulation in the United States: analysis of the 2012 National Health Interview survey." Among the 8.5% of U.S. adults who reported receiving manipulation, 97.6% saw chiropractors. Most adults were under age 65 (83.7%), female (56.6%), and white (85.1%). Except for sitting tolerance, functional limitations were significantly higher among older manipulation users compared with younger manipulation users (all p < .001). Older (vs younger) chiropractic/osteopathic users more often reported functional limitations (65.7% vs 37.2%), had difficulty walking without equipment (14.7% vs 2.8%), found it very difficult or were unable to walk one-quarter mile (15.7% vs 3.8%) or climb 10 steps (11.4% vs 2.5%), and needed help with instrumental activities of daily living (6.9% vs 2.0%). Comorbidities differed by age: cardiovascular events/conditions, cancer, diabetes, and arthritis were more common among older adults, and headaches, neck pain, and depression were more frequent in younger adults. Similar proportions of older and younger adults had emergency room visits (23.0% vs 21.7%); older adults reported more surgeries (26.1% vs 15.4%). Note the contrast of these papers and the tremendous future for our profession. What I mean by this is – If only 8.5% of U.S. adults utilize chiropractic for low back pain and it is now recommended by such prestigious medical schools as Harvard, imagine the future for chiropractic spine specialists. This percentage will growth rapidly. I see the challenge being for the chiropractors to lead the medical profession in skills to relieve low back pain. Remember we are dealing with an epidemic of back pain in our country and the world. We are finally being into the arena of best clinical outcome treatment. Discat plus is a Chondroitin Sulfate formula I developed in 1966 following reading the work of Cole, Ghosh and Taylor in a two volume text entitled “THE BIOLOGY OF THE INTERVERTEBRAL DISC”. This two volume text was far ahead of its time. Following studying it, I gained awareness of stopping disc degeneration, prompting disc regeneration, and a beginning of possibly controlling spine pain with chondroitin sulfate administration to people. The source of Chondroitin Sulfate I used and still use was perna canaliculus, a green lipped mussel from New Zealand and Australia that is harvested from the ocean. It is the most potent source of Chondroitin Sulfate known. 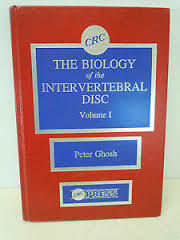 (welburn) The intervertebral disc contains a mucopolysaccharide compound know as glycosaminoglycan that absorbs fluid to give the disc its property of turgor (stiffness) within its cells. Loss of glycosaminoglycan accompanies disc degeneration and disc herniation. Glycosaminoglycan is Chondroitin Sulfate. Thus the relationship between administering Chondroitin Sulfate (Discat Plus) along with Cox® Technic for treating disc degeneration and herniation began. In 1966 I formulated Discat Plus (with Chondroitin Sulfate). This was twenty to thirty years before commercial ventures like health food stores and commercial television learned of it and started to sell it. Remember it takes 17 years for a new idea or fact to settle into common knowledge. This was true for chondroitin sulfate. Now we are seeing pain relief as well as the anti-inflammatory benefits of Chondroitin Sulfate (as in Discat Plus). Please read the following relief of tactile allodynia in the mouse model when oral chondroitin sulfate was given. We examined the effect of chondroitin sulfate (CS), a compound used in the treatment of osteoarthritis and joint pain, on the formalin-induced tactile allodynia in mice. A repeated oral administration of CS (300 mg/kg, b.i.d.) significantly ameliorated the formalin-induced tactile allodynia from day 10 after formalin injection. On day 14, the phosphorylation of spinal p38 MAPK and subsequent increase in c-Fos-immunoreactive dorsal lumbar neurons were attenuated by the repeated administration of CS. These findings suggest that CS attenuates formalin-induced tactile allodynia through the inhibition of p38 MAPK phosphorylation and subsequent up-regulation of c-Fos expression in the dorsal lumbar spinal cord. CHONDROITIN SULFATE (CS) IS USED IN THE TREATMENT OF OSTEOARTHRITIS AND JOINT PAIN. IT HAS ALSO SHOWN RELIEF OF TACTILE ALLODYNIA IN MOUSE STUDIES. A REPEATED ORAL ADMINISTRATION OF CS (300 MG/KG, B.I.D.) SIGNIFICANTLY AMELIORATED THE FORMALIN-INDUCED TACTILE ALLODYNIA FROM DAY 10 AFTER FORMALIN INJECTION. ON DAY 14, THE PHOSPHORYLATION OF SPINAL P38 MAPK AND SUBSEQUENT INCREASE IN C-FOS-IMMUNOREACTIVE DORSAL LUMBAR NEURONS WERE ATTENUATED BY THE REPEATED ADMINISTRATION OF CS. THESE FINDINGS SUGGEST THAT CS ATTENUATES FORMALIN-INDUCED TACTILE ALLODYNIA THROUGH THE INHIBITION OF P38 MAPK PHOSPHORYLATION AND SUBSEQUENT UP-REGULATION OF C-FOS EXPRESSION IN THE DORSAL LUMBAR SPINAL CORD. First, what is tactile allodynia? It is pain caused by touch such as clothing against the skin. It is pain caused by so little irritation it would not be considered to cause pain. Second, what does phosphorylation of spinal p38 mapk and subsequent increase in c-fos-immunoreactive dorsal lumbar neurons mean? Let's first review. What are MAPK, ERK, P38 pathways? Cellular responses to many external stimuli involve the activation of several types of MAPK (Mitogen-Activated Protein Kinase) signaling pathways. MAPKs are a family of serine/threonine kinases that comprise 3 major subgroups, namely, ERK (Extracellular signal–Regulated Kinase), p38 MAPK and JNK (c-Jun N-terminal Kinases). An understanding of kinases is basic. Genetic and protein information on pain and disease involves knowing that protein tyrosine kinase is an enzyme that transfers po4 from ATP to protein in the cell. The released po4 attaches to tyrosine to form tyrosine phosphate which then attaches to serine and threonine and this regulates cell division. If irregular, it will set abnormal cell division – cancer. Pathways to transmit proteins through the cell wall from receptor to DNA, RNA of nucleus of the cell. MAPK–ERK pathway conducts the protein such as tyrosine kinase attached to serine and threonine through the cell wall into the nucleus of the cell. The p38 pathway routes chemicals through the cell wall into the nucleus of the cell. In this paper, chondroitin sulfate is found to inhibit the p38 pathway to relieve tactile allodynia. This represents another potential benefit of chondroitin sulfate as an anti-inflammatory pain control. Source: Chen NF, Chen WF, Sung CS, Lu CH, Chen CL, Hung HC, Feng CW, Chen CH, Tsui KH , Kuo HM, Wang HD, Wen ZH, Huang SY. Contributions of p38 and ERK to the antinociceptive effects of TGF-β1 in chronic constriction injury-induced neuropathic rats. J Headache Pain. 2016 Dec;17(1):72. Epub 2016 Aug 19. HERE IS AN EXAMPLE OF SUPPRESSION OF MAPK, ERK, P38 ARE ANTINOCICEPTIVE FOR CHRONIC CONSTRICTION OF A NERVE BY TRANFORMING GROWTH FACTOR-B. TGF-Β1-INDUCED ANALGESIA DURING NEUROPATHY. Transforming growth factor-βs (TGF-βs) are a group of multifunctional proteins that have neuroprotective roles in various experimental models. intrathecal (i.t.) injections of TGF-β1 significantly inhibit neuropathy-induced thermal hyperalgesia, spinal microglia and astrocyte activation, as well as upregulation of tumor necrosis factor-α. During persistent pain, activation of MAPKs, especially p38 and extracellular signal-regulated kinase (ERK), have crucial roles in the induction and maintenance of pain hypersensitivity. TGF-β1 markedly inhibited phospho-p38 upregulation in neurons, microglial cells, and astrocytes. However, i.t. injection of TGF-β1 also reduced phospho-ERK upregulation in microglial cells and astrocytes. CONCLUSIONS: The present results demonstrate that suppressing p38 and ERK activity affects TGF-β1-induced analgesia during neuropathy. Again, I first formulated Discat Plus in 1966, continued its improvement as research dictated, and continue to use it and make it available to doctors who understand its benefits. Also its use is strengthened by continued research. If interested in this beneficial nutritional addition to the treatment of disc degeneration and spinal stenosis, contact us at www.coxtrc.com and more specifically http://coxtrc.com/supplements/discatplus.html. Thank you! What Are Patient’s Treatment Options For Back And Extremity Pain And Disability? This inaugural blog on the mechanism, diagnosis and treatment of spine and radicular pain appropriately opens with discussion of the most important element of spine care in the United States and the world for that matter – THE PATIENT. Do you ever empathize with a person in spine pain who is seeking care – the stressful decisions to be made with sometimes with little knowledge of the problem? Can you blame him or her? Fact-filled alternatives are missing for such hard decisions. Just consider the following truths about spine care today. Surgery yields varying feelings and opinions by patients and for good reason. Consider the following scientific papers on surgeons’ disagreement on spine surgery. The better trained the surgeon the less spine surgery is performed. More surgery is done by private clinics and 4 times less in academic and teaching institutions. (1) Degenerative lumbar scoliosis has variability in both non-operative and operative management. The appropriateness of surgery and specific surgical procedures have not been defined for this important pathology of the aging spine. (2) Such statistics support the patient’s plight in treatment decision making. Cox® Technic flexion distraction and decompression spinal manipulation is a popular and growing form of spine care for people suffering from disc degeneration, disc herniation and spinal stenosis that cause leg pain called sciatica and arm pain and other spinal conditions such as spondylolisthesis, transitional segments, scoliosis, facet disease, pregnancy, spondylolysis, osteoporosis, arthritis, and so many more diagnoses. Spinal mobilizations - low velocity passive oscillatory movements such as Cox® flexion distraction decompression spinal manipulation - are reported to reduce spinal pain in some patient subgroups by an endogenous pain inhibition system mediated by the central nervous system. Cox® flexion distraction low velocity low amplitude spinal manipulation shows short-term, remote antinociceptive effect similar to clinical findings in a rat study. (5,6) This author financed the building of a Cox® spinal manipulation instrument that is 1/12 the size of a regular Cox® manipulation instrument. It was built at the University of Iowa with input from Ram Gudavalli, PhD, and is used for rat experimentation as described here. Quite exciting to see how many years of study and research can lead to new approaches. Chronic low back pain is known to cause anxiety and depression for the patient. Can you blame them? Suffering without relief will make anyone anxious. The complex, bidirectional correlation between chronic low back pain and generalized anxiety disorder, common in primary care, can increase the risk of inadequate treatment. (9) Chronic low back pain participants have lower working memory performance and higher pain catastrophizing compared to pain-free controls. (10) This author finds patient confidence and understanding of their condition reduces depression; some patients state their relief to now just understand their condition as it had not been explained to them by any prior healthcare consultant, doctor or surgeon in an understandable language. Chiropractic must persist in the research for documentation of its contribution to the epidemic problem of spine pain. Dissemination of this research to the chiropractic field doctor is an absolute necessity so he or she can implement the principles taught. Patient satisfaction with chiropractic research and clinical superiority will maintain the leadership role for chiropractic in spine care management. Cox® Technic flexion distraction and decompression spinal manipulation has published scientific papers on the biomechanics and clinical outcomes of the technic for spine and radicular pain. Standards of care for cervical, thoracic and lumbar spine spinal manipulation are published as well as tutorials in the application of the flexion distraction and decompression technic. For full study of the work, go to the website www.coxtechnic.com. There you will find copies of the research papers, descriptions of Protocol I and II applications of the technic, clinical outcome studies, and case presentations of spinal conditions such as spinal stenosis, intervertebral disc herniation, spondylolisthesis, Bertolotti’s syndrome, facet syndrome, synovial cyst, Tarlov cyst, scoliosis, and subluxation. Cox Technic Complete® program websites like this one more fully go into the examination, physical, orthopedic, neurological and diagnostic imaging of spine pain patients which are shown in video for patients to study and then arrange care with the physician. These studies are designed to lead to the most prudent diagnosis of the patient’s condition. 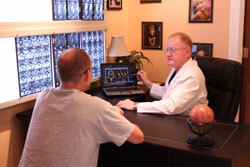 Study opportunities with Dr. Cox and other certified chiropractors for those interested in the procedures are given. Certification following 32 hours of hands on and didactic study is available for international referral directory opportunities. Clinical validity of Cox® Technic is shown in the just published Clinical Practice Guideline: Chiropractic Care for Low Back Pain in the Journal of Manipulative and Physiological Therapeutics published online January 19, 2016. (12) It shares that “currently, the most robust literature regarding manual therapy for low back pain is based primarily on high-velocity, low-amplitude (HVLA) techniques, and mobilization (such as flexion-distraction) therefore, in the absence of contraindications, these methods are generally recommended.” (12) This validation of Cox® flexion distraction decompression spinal manipulation is necessary for developing chiropractic’s role in spine treatment. It is the leadership of superior spinal manipulation that will ultimately draw the public’s acceptance. It is my opinion that our path of research, clinical application and patient preference is large in the future of expanded chiropractic medicine. Thank you for studying with me. Cox Technic - It's not just for low back! It's for CERVICAL SPINE, too! DC 1: "Flexion distraction. Yeah, I do that. It works great for low back pain and disc herniations." DC 2: "Have you used flexion distraction for neck pain and arm pain? Cervical spine conditions?" DC 1: "No. I didn't know it was for that." DC 2: "The research is amazing, and the technique is so gentle! Yes, Cox Technic flexion distraction for cervical spine conditions was introduced in 1991 (thanks to Dr. Cox's wife whose C5-6 disc herniation made him venture beyond his beloved L5-S1!). Since then, clinical cases have been published, federally funded studies (both clinical comparison and biomechanical) have been completed, and colleagues have shared their treatment skills with each other formally in workshops and informally in clinics. The Cox Table has also evolved from unwieldy and awkward occipital cups/ropes to simpler long-y axis and straps. Check out just what Cox Technic flexion distraction offers cervical spine pain patients and their neck pain and arm pain! Then register for a seminar or workshop to learn more. Video of Cox Technic - It's For More than Just Low Back Pain! Dr. James Cox well developed Cox® Technic's reputation for managing low back pain and sciatica. Most everyone who uses it says they'd turn to flexion distraction to manage low back pain and leg pain and disc herniation. But the evolution of Cox Technic to caring for the other regions of the spine has grown! Flexion Distraction Cox® Technic for cervical spine disc herniations and disc degeneration and headache and arm pain is well researched biomechanically and clinically. Its research progresses with federal funding via NIH and HRSA chiropractic research grants at NUHS and Palmer Research with Loyola Stritch School of Medicine/Hines VA Hospital and others like University of Iowa and University of Illinois. It's so exciting! Check out this video that just shows snippets of lumbar spine flexion distraction application (It will look so familiar!) as well as cervical spine treatment (on The Cox8 Table) and side-lying treatment for pregnant patients (so comfortable and effective!) as well as patients who are in too much pain to lie on their stomaches. Cox Technic is most effective biomechanically and clinically for lumbar spine back pain conditions. Check out what it offers the cervical spine related neck and arm pain conditions, the "newest" application of Cox Technic since 1991. Check out this video. "I heard Dr. Cox 30 years ago..."
I have worked with Dad (Dr. Cox) for 22 years. In 22 years, so much has changed and evolved. I was hired to write a newsletter for him and the technique. Today, I get to talk to doctors from around the globe who share their personal patient success stories (which I wish I could get them all to write for me to share with all of you!) and plan training seminars and support our teaching team and coordinate clinicians who want to do research with researchers and connect patients (who are often at the end of their ropes) who need back pain and neck pain relief with Cox Technic certified physicians who can deliver that relief. 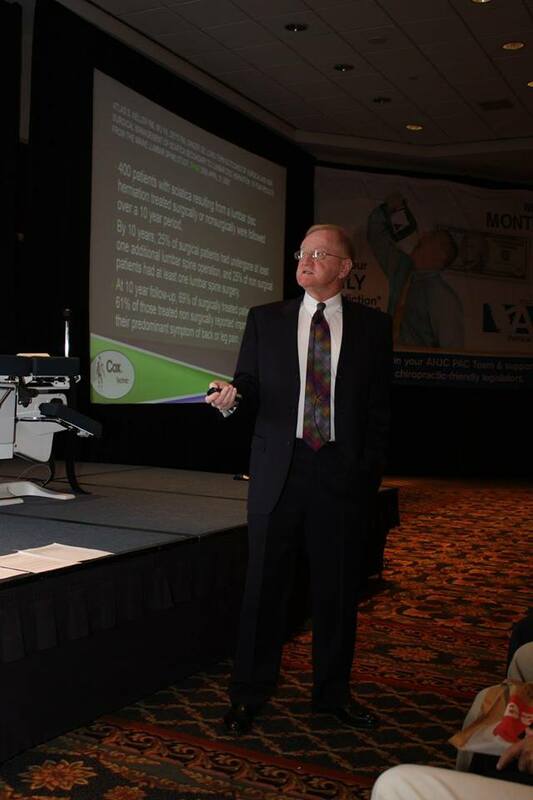 Further, during these 22 years, I have likely sat in over 400 presentations with Dr. Cox and/or other members of our instruction team (Drs. Greenwood, Hazen, Joachim, Kruse, Olding et al). I learn something new at every single course. I hear a new insight or application of a protocol. I hear a new struggle or a new success. I have been on the scene when Dr. Gudavalli has announced reception of a new grant from NIH or HRSA or FCER (when it was in operation) or that a paper about flexion distraction (teaching tools or biomechanical research outcomes or clinical comparison study) is accepted for publication or that he is invited to present flexion distraction to fellow biomechanical engineers and/or chiropractors at conferences in places like Sydney, Dubai, Portugal, California, etc. I am able to watch new doctors to the technique grow in excitement and passion during the course of a seminar. I am honored to hear their stories throughout the course, their personal struggles with back pain and neck pain or those of a loved one, their professional uncertainty as to whether to keep practicing or retire, their journey for finding a better way to help their patients. What a privilege it's been to be a part of all this excitement that often goes on behind the scenes yet is only known by a few. So thank you to everyone who gives Dr. Cox a second chance - even if it's 30 years later - to share his passion for chiropractic, its science and its art, its research and its clinical application. And I am so glad that you get that chance as he is my dad, and I am so honored to still have him in my life these 30 years, 40 years, almost (!) 50 years. I look forward to seeing you at a seminar or lunchtime LIVE webinar or hands-on workshop and hearing your story of hearing Dad teach you 30 years ago (or 2 years ago or 2 months ago!). I am confident you will hear something new to inspire you and your enthusiasm for your chiropractic practice and profession! The Musculoskeletal Biomechanics Research Laboratory at the Loyola University Medical Center, endearingly known as the Windy City Lab, is a site of federally funded research into the biomechanical and clinical studies of flexion-distraction, the technique also known as Cox Technic developed by Dr. James M. Cox. The most current project involves the cervical spine. At the Windy City Lab, Dr. Avinash G. Patwardhan directs a team of orthopaedic surgeons, engineers, medical researchers and statisticians whose publishing credits include over 100 papers in peer-reviewed journals like Spine, J of Bone and Joint Surgery and the J of Biomechanics. It's quite impressive what this small but mighty team has accomplished. Each time these researchers and clinicians assemble, excitement abounds at the ability to document what happens during this flexion distraction procedure and at the collaborative efforts of all involved. Healthcare costs and healthcare demands are all the talk today. Families struggle with healthcare decisions. Politicians and insurance companies are changing the system. Doctors are changing their office protocols to meet the new guidelines. It's hard to keep up for everyone. But for your health, you know that evidence-based protocols are those that you want for your loved ones when they hurt. Evidence-based protocols come from documentation by clinicians and researchers seeking an answer to help sufferers. When it comes to back pain and lower back pain and neck pain sufferers, Cox Technic strives to provide the evidence-based protocols to make a difference in your lives. Researchers from prestigious universities and research centers (click here to see some of the federally funded projects and who is involved) work together to document the biomechanical (answering the question: what happens during Cox Technic?) and clinical (answering the question: how long does it take to get relief?) of Cox Technic. Systematically, researchers and clinicians work to define the evidence-based protocols that will relieve back pain and neck pain without surgery or drugs when possible. When a doctor implements evidence-based protocols in his or her clinical practice, patients can feel a bit more assured that there is a level of science and understanding behind those protocols and find reasonable relief of pain. All persons involved know what to expect and what to do when those expectations are not met. Evidence-based medicine and clinical protocols are the present and the future of healthcare. If something works, it will likely be used and paid for. If it doesn't, it likely won't. If you suffer with back pain or related extremity pain or neck pain, contact a Cox Technic certified physician to discuss your condition and expectation of relief. Cox Technic treatment protocols are safe and gentle. 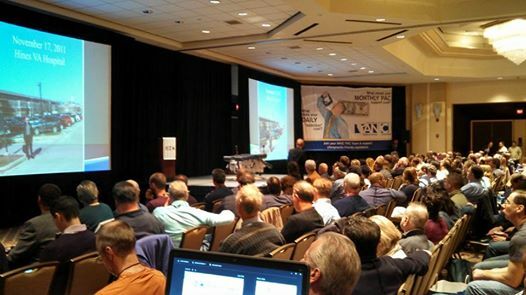 If you are physician seeking to implement an evidence-based protocol in your spine pain practice, contact us for information on educational opportunities and training seminars, research, and publications about the evidence-based protocols of Cox Technic. Back Pain Specialists Are In Demand! Have you heard about back pain lately? Friends? Family? Football players? Even politicians are having back pain. Do you hear about surgery and drugs for back pain relief? Sure. Do you want drugs and surgery for back pain relief? No? Many people are with you there. If surgery can be avoided, many want to do that. Cox Technic Flexion Distraction and Decompression Spinal Manipulation is a non-surgical back pain relief protocol. Its protocols seek a logical amount of relief in a logical amount of time - 50% relief in 30 days - or further tests or imaging studies or surgical consultations will be arranged. Many people experience 50% even 100% relief of pain in that time of 30 days or less (often less!). When you hurt, any % of pain is a relief. Cox Technic protocols call for this time to heal as it takes time to drop intradiscal pressures to be below the 20mm that cause symptoms like back pain, leg pain, neck pain, arm pain. Hirschberg wrote that it takes 3 months for a disc to heal. Now he doesn't say that back pain continues through that whole time, but he does write that time of low intradiscal pressures and irritation are needed for back pain relief. Cox Technic respects that. You get pain relief and tips on how to control your back pain condition so your visits are limited. To see a back pain specialist in your area who offers Cox Technic, please click here for the certified Cox Technic physician referral directory. Just posted to the website and on YouTube, a new video about Cox Technic Flexion Distraction and Decompression with its developer, Dr. James Cox, is ready. Highlighting a demonstration of the proper protocols of Cox Technic, the video also emphasizes the research, the educational opportunities to learn more about it for doctors and patients, the tools availables to enhance the use of flexion distraction as well as the referral directory to certified Cox Technic physicians. Check out the video today!